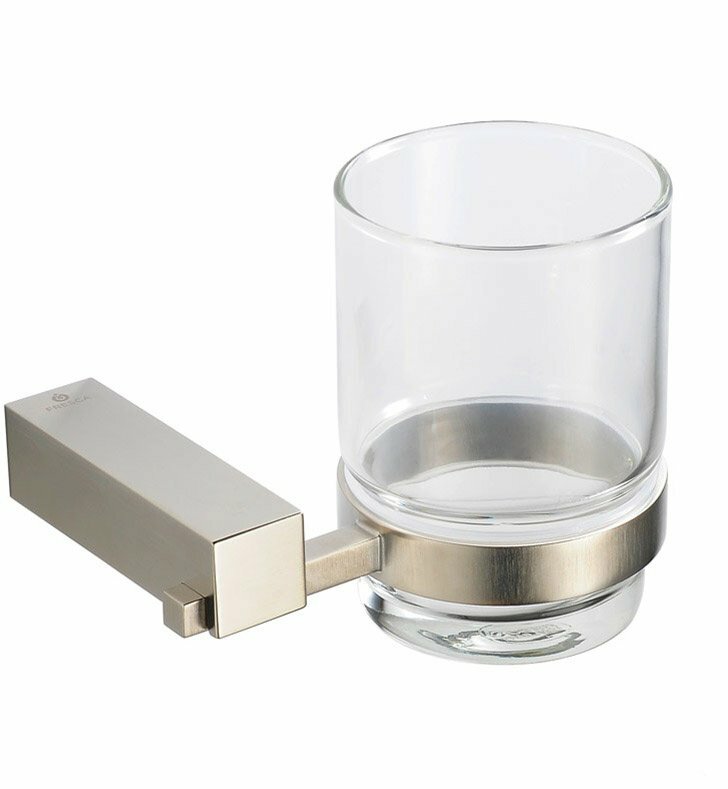 Hold your bathroom tumbler in a place that's easy to reach with the Fresca Ottimo Tumbler Holder, model FAC0410BN. This wall-mounted device is ideal for your bathroom wall or tile splashback. Each bathroom tumbler holder is crafted from solid, durable brass. It keeps your tumbler up off the counter and within easy reach so you can quickly and easily grab a sip of water or swish after brushing. The fixture also has an attractive brushed nickel finish. Your new chrome tumbler holder measures 4 1/2" W x 3 1/2" D x 3 3/4" H.